Happy leap day! Every time one comes around it makes me cast my mind back to where I was on past leap days—grinding through elementary school; about to graduate high school; about to graduate college; working without meaning at a parasitic bank, and so on. Four years is a convenient marker in human life and there is something memorable about the end of winter as life takes a breath before flinging itself into spring. However, if you keep leaping back over the century and millennia, eventually the leap years run out. 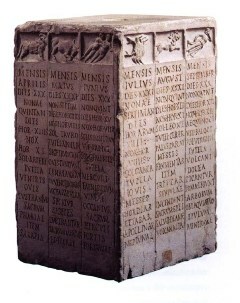 Prior to Julius Caesar, the Roman calendar was 355 days long. 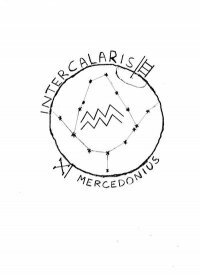 Following such a calendar for any length of time caused the months to drift out of alignment with the seasons, so the ancient Romans sporadically included a leap month named Mercedonius, or Intercalaris. Mercedonius, when it happened, was 27 days long and followed February. February was named for the Latin word februum, which means “purification.” Romans did not like even numbers (they regarded odd numbers as lucky). February was the one month of the Roman year with an even number of days and so the Romans thought of the winter month as a time of purification and cleansing. The Romans did not care for cold dark February, so they made it shorter than all other months—28 days. Whenever Mercedonius was declared, February became shorter still—shrinking down to 23 days (at least this is probably what happened—contemporary classicists are still arguing about the precise mechanism of the ancient Roman calendar). The pontifex maximus, the highest Priest of ancient Rome, was responsible for deciding when to insert Mercedonius into the calendar. Throughout most of the history of Rome this worked well, however it broke down badly at least two times. 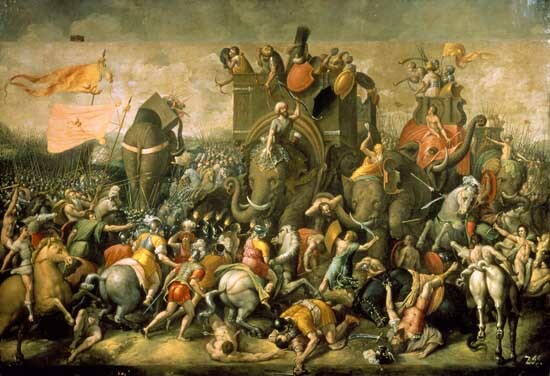 During the second Punic War, Roman society was so badly damaged by Hannibal’s invasion that the Romans lost track of Mercedonius and literally did not know what time it was. After the battle was won, order was restored with the reforms of the Lex Acilia in 191 BC (the nature of which are unknown—but which seem to have solved everything). "Excuse me, but do you perhaps know today's date?" 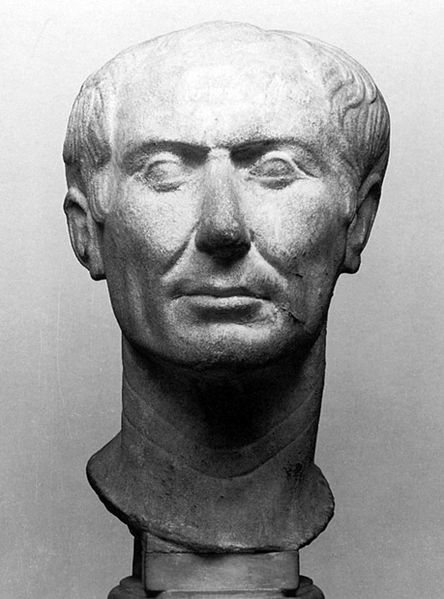 The second breakdown occurred during the years of confusion leading up to Julius Caesar’s ascendancy as dictator for life. The pontifex maximus was inevitably a powerful citizen who was deeply involved in Roman politics. He could interfere with the length of time other elected officials served by shortening or lengthening the year. As civil war enveloped Rome, the calendar became a political tool and Romans again lost track of what day it was. The confusion was only solved when Caesar took supreme office and proclaimed himself pontifex maximus. He reformed the addled calendar into the Julian calendar, which abolished Mercedonius, the haphazard leap month, forever.